Here at Kaodim, we have always taken the quality of service provided by the professionals participating on Kaodim seriously. It has been our mission to improve the overall quality of services in Singapore. In addition to the business verification checks we carry out before any service professional is allowed on our platform we provide a continuous education and training program for our service professionals to help them become more responsive to their customers and to deliver better quality service with improved standards of skill and workmanship. We are happy to announce that on 16 February 2016 we launched our improved Kaodim Service Integrity System which takes our enforcement of service quality to the next level. 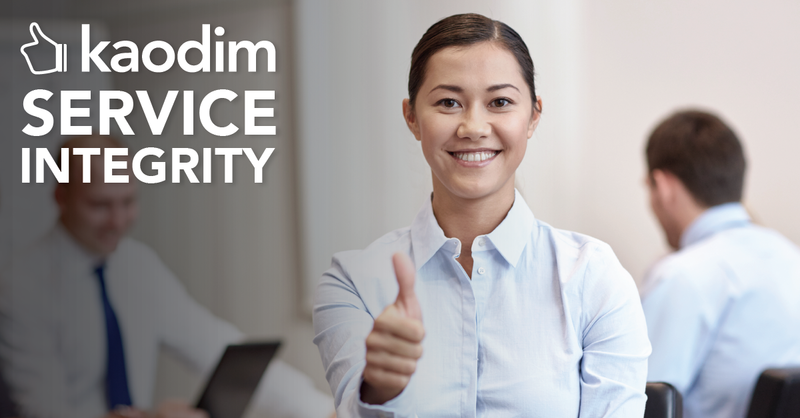 The new Kaodim Service Integrity System will set an even higher standard of responsiveness, professionalism and service quality on all kaodim service professionals. Stricter action will be taken against service professionals who don’t meet your expectations on service quality every time you submit a rating or review of their services. We are confident that this improved system will elevate the service quality of service professionals on kaodim. Therefore, in order for this system to work effectively, we need your help by providing us with your ratings and feedback on service providers every time you’re invited to do so. Please check your inbox for our emails inviting you to rate the service providers that have introduced themselves to you. Go ahead and give us your honest ratings on their performance. Together, let’s take another step forward to improve the integrity and quality of the Singaporean services marketplace.